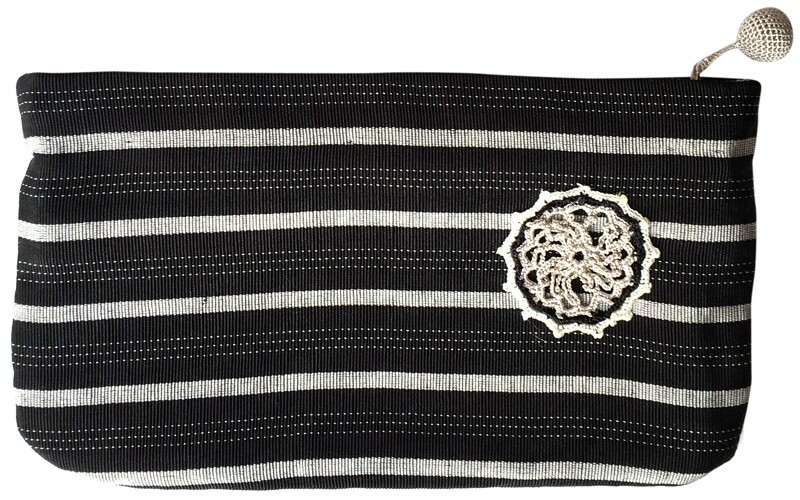 Lacework patterned black striped purse is handmade by Soma Artisans. 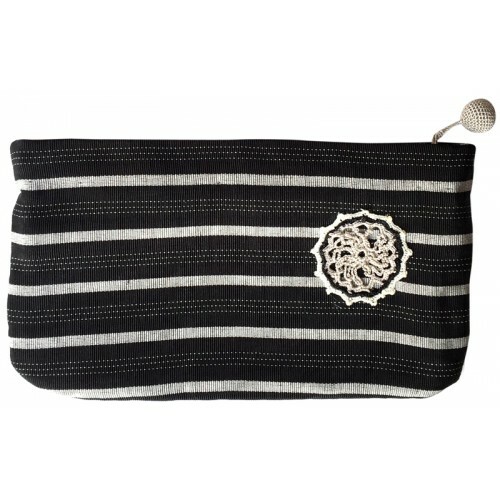 You can use the purse as a make up bag, for your phone and as a pencil holder. The fabric used is kutnu which is handwoven only in Gaziantep for 400 years. Soma is a small town in western Turkey surrounded by cypress trees and olive farms. It is not far from the Aegean Sea and the historic ruins of Bergama (ancient Pergamon). In May 2014 Soma experienced Turkey’s worst mining disaster. A blazing underground fire at one of the coal mines killed 301 miners. The mines had already destroyed much of the local agriculture, natural areas, forests and olive groves. Now this new disaster threatens the fabric of the Soma community. The miners who died left behind 300 widows and 432 children. Many miners were the sole breadwinners of an extended family. Then the rest of the mines around Soma were closed, so another 2,831 miners became unemployed. Needing desperately to support their families, a number of miners’ wives have formed a group called “Soma Artisans”. Working under the guidance of international designers, the women are creating beautiful, useful objects in traditional styles with a modern fair. Trough growing sales locally and internationally, the women will be able to earn a steady income while expanding the group to include a larger number of participants. 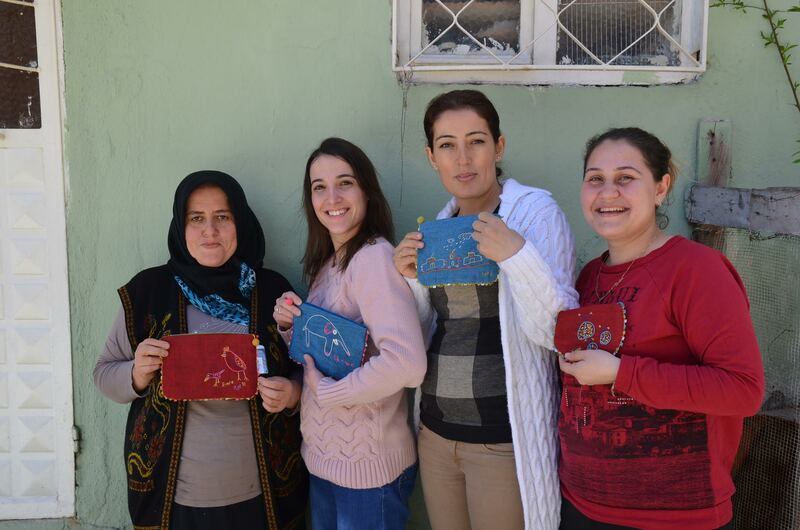 Anatolian Artisans, a US-based NGO, is working with The Poverty Alleviation Fund to help restore the lives of the people of Soma through an innovative income-generation project. They began working together in March 2015 with an initial group of 24 women artisans to help them create and market unique handmade products using their traditional crochet and needlelace (oya) skills.